Thanks for joining me! 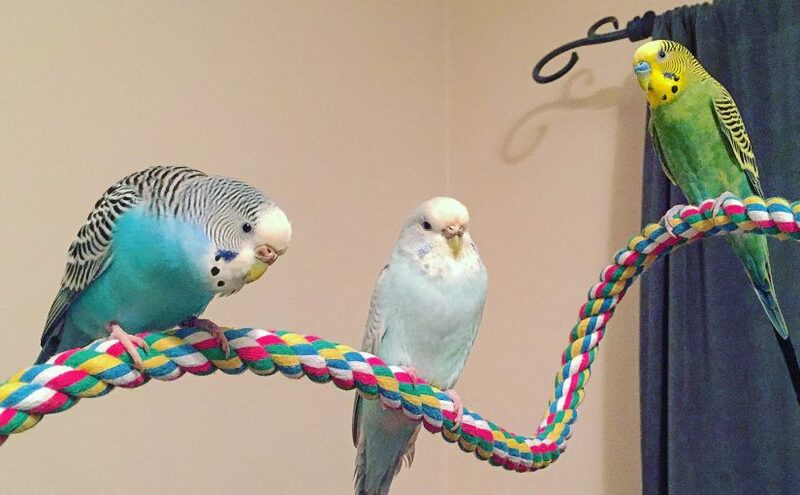 This blog is intended to be a resource for both the novice and experienced parakeet owner, or just a good story for anyone who likes reading about budgies. There are reviews of bird-related products as well as tips and tricks and fun stories about our many mistakes along the way. If anything you’ve read has been particularly helpful, or if you just feel like buying the flock a treat, please feel free to Support Me on Ko-fi – any “coffees” purchased will go towards supporting the flock. One final note – if you are considering parakeet ownership and you don’t want to do any other research at all, please at least purchase (and read!) Parakeets For Dummies . Check out Bob Wilson’s site about Exhibition Budgies! He has a fantastic resource library on his site with loads of important information. If you’re looking for a community of parakeet parents to crowd source for information or just look at cute budgie pics, you cannot beat this Facebook group. We also recommend the Feathered Friends page on Facebook, with almost 80,000 fans of the page it’s a great place to ask a question and get a ton of informed answers from parrot owners and enthusiasts.